You are currently browsing the archive for the Services category. We have had to make some changes to the Eduroam security certificate this afternoon in order to maintain service availability. Unfortunately, this can potentially cause some problems with devices running Windows operating systems. The easiest way to correct any issues is to remove your eduroam profile, visit our Wi-Fi connection page and install a new eduroam profile using the wizard. Access to this page is also available through the UoR-Setup network if you can’t access it through a mobile data network. The issues can also be corrected manually by following the instructions below. MacOS and Android devices do not appear to have been affected. iOS devices might be prompted to accept a new certificate. If you have any difficulties, please contact the IT Service Desk on 0118 378 6262 (6262 internally) or log an incident in the IT Self Service Portal. 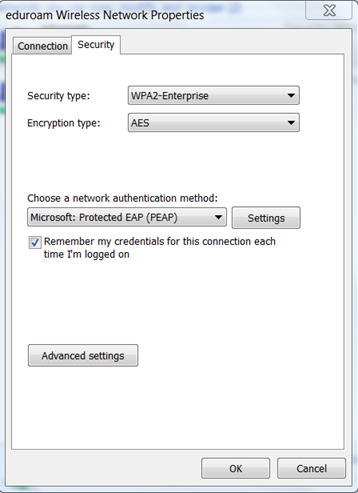 For older installations of the eduroam profile, eduroam will not connect automatically the first time after the change. 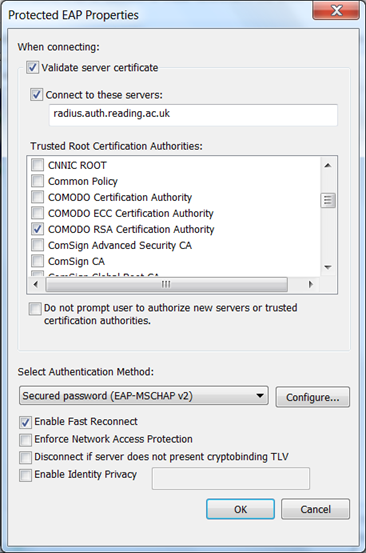 When asked to connect, a message stating the certificate trust has changed will appear. 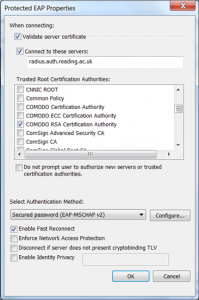 If you see this message on your device, please ensure it reads ‘Comodo RSA Certification Authority’ for the new trust point, then press connect. This should only need to be done once. For newer installations of the eduroam profile, eduroam will not connect at all until a configuration change is made. 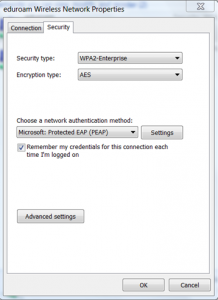 If you are having this problem, please open your wireless networks settings, edit the settings for eduroam, press settings for the network authentication method, then make sure ‘Comodo RSA Certification Authority’ is selected in the list. It is also worthwhile unchecking the box for ‘do not prompt user to authorize new servers’.